#1 “You have to kiss me," I find myself saying. #2 “Um. So ... Are we going to study?" 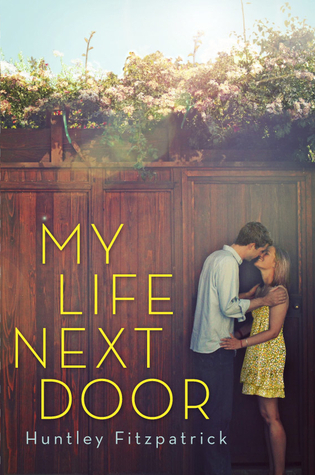 Since its release last year, I've had My Life Next Door by Huntley Fitzpatrick on my TBR List and I am so happy that I finally bought and read it this summer. 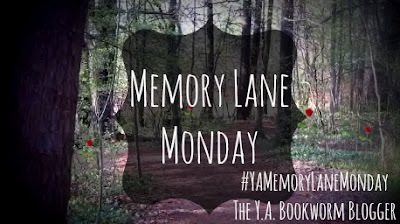 Although I read a lot of paranormal/dystopian, I always gravitate towards contemporary in the Summer and I have to say that My Life Next Door was a great one to start off with! There are so many elements of this book that had me hooked from the beginning to end. Of course the romance is a big part of it, but there were other things apart from the romantic storyline that I feel added to the novel and made it something more than just "another love story". I particularly loved the dynamic of Jase's family, the Garretts. The chaos, lack of organization and hilarious children (especially little George) make not only the Garretts' house a fun setting, but also a place that felt like home! For those of you wondering about the romance, I particularly liked Jase and Samantha's relationship because although they are teenagers, they're very mature-- making their relationship take on a mature feel as well. In addition to that, their chemistry is just so sweet that I found myself more than a few times wishing to have a neighbor like Jase Garrett! *Sigh* A girl can dream, right?! Overall, My Life Next Door is one of those books you just have to read! It may only be 394 pages, but you'll still find yourself helplessly falling in love with everything this book has to offer! My Life Next Door is the kind of book that reminds you why YA is just a fantastic genre. Have you read My Life Next Door? Are you excited for Huntley Fitzpatrick's next novel releasing in 2014? Be sure to let me know in the comments below! Keep Reading! Thanks for the review, it was awesome! Your comment honestly put the biggest smile on my face :D ! Once you get the chance, buy the book and enjoy spending time with Jase ! ...Oh and let me know what you end up thinking about it! great review! I've been looking for some realistic YA-fiction for sometime, and don't get me wrong there's no shortage BUT this book intrigues in romantic side aha so thank you for that! 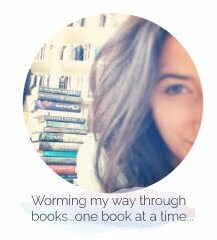 Anyways, i've been looking at your blog reviews and basically just posted 8 new "to-reads" on good reads! I'm a new to the blogosphere and really appreciate the followers! Aww you're so sweet-- Thank-you so much! Makes me feel good to know I was able to fill up your TBR shelf! Hope you enjoy My Life Next Door as much as I did!